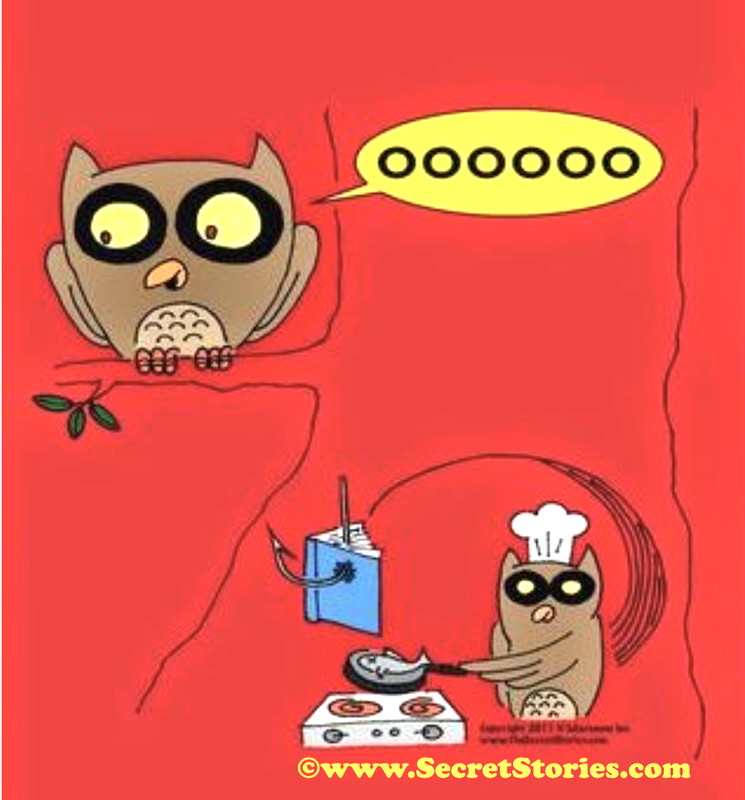 Secret Stories® Phonics Blog with Katie Garner: How to Avoid Having Too Many Cooks in the Phonics Kitchen! How to Avoid Having Too Many Cooks in the Phonics Kitchen! "Too Many Cooks in the Phonics Kitchen!" I have been a Reading Specialist for thirty years, as well as an adjunct university professor. 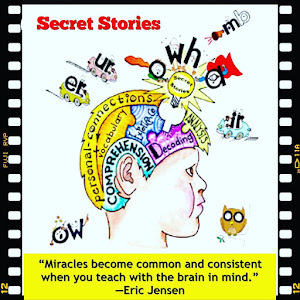 I have enjoyed great success with the Secret Stories, and my kindergarten through fifth grade students have had such an easy time mastering them and their reading levels have soared! Have you ever thought about adding more Secrets? For example, what about for these patterns, below? And finally, what are some good books and/or materials to use with, as well as to reinforce the Secret Stories? 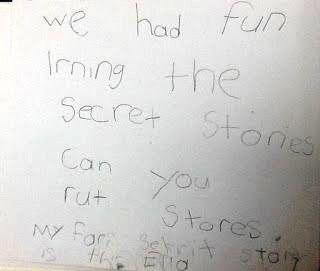 "We had fun learning the Secret Stories. Can you write (more) stories? I LOVE these kinds of questions, so thank you to Laura and Ella for asking them! Questions like this provide the perfect opportunity for me to open up a big can of worms when it comes to the way we traditionally think about phonics and reading instruction, in general. 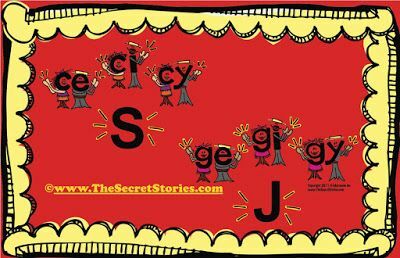 Secret Stories® is not like traditional phonics, nor is it like any phonics program. The Secrets simply put meaning where there would otherwise be none, so as to shift instruction from brain antagonistic to brain compatible! Take -le, for example, as in words like little or middle. 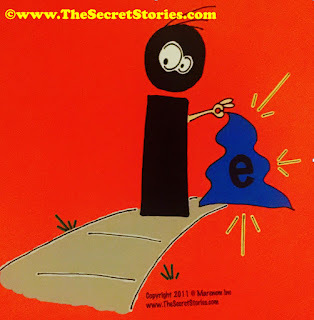 There is no Secret for the --le sound because it's not necessary in to read the words— not if learners know that the e at the end won't talk anyway (as Mommy e® only tells the vowel she can reach to say its name, but she has no sound!) Likewise, if a phonics pattern is so rare that it would be of minimal use to elementary grade level readers, then it is not addressed with a Secret. In such cases, experience is the best teacher, so the key is to get enough real skills under learners' belts so that they can get up and running with text, and allow text experience to fine-tune learners' skills. An example of this would be the silent t in words containing the -st or -stle pattern, as in whistle or listen. This sound spelling applies to so few words that it doesn't merit the time and space it would take up in beginning or struggling readers' brains. Moreover, learners how know just enough Secrets to read the rest of such words would likely be able to make the adustment to figure out the word. The key to being able to successfully give beginning grade learners everything they need is not to burden them with anything they don't need. (Sorry for the double negative, but hopefully you get the drift!) In simpler terms, don't get caught up in the minutia. Focus on what really matters and allow text experience do the rest. It is a far better teacher than either you or I will ever be! 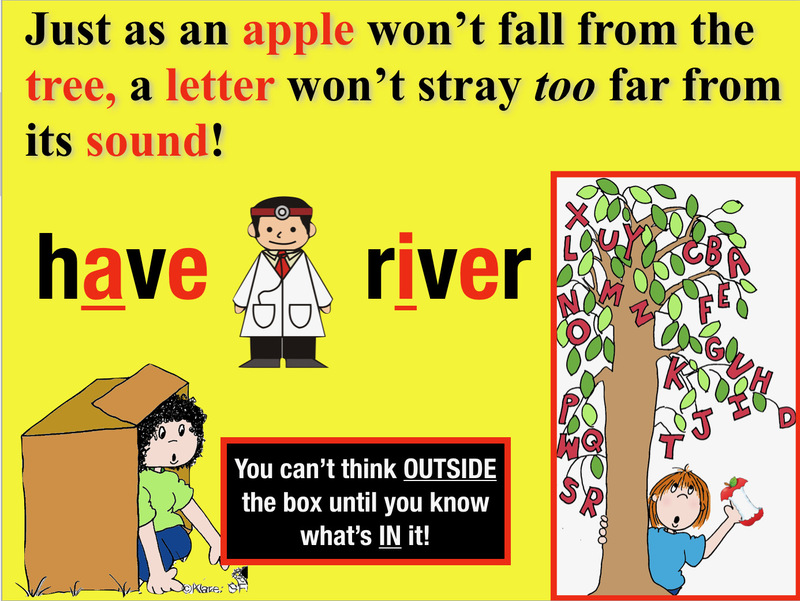 In addition to providing the logical explanations for letter sound behavior that the brain craves, Secret Stories® also account for the common "default" sounds of letters in text— all of which are embedded into the graphics anchor sound posters. 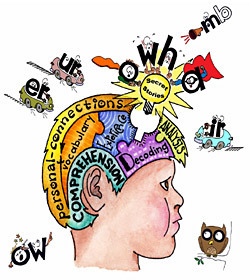 Because these defaults follow the same social emotional "feeling" based logic that drives learners' own behavior, even inexperienced, beginning (and upper grade, struggling) readers are can think-through the alternative sound behaviors of letters in text, rather than always having to memorize them as "exceptions." Filtering out the fringe and streamlining the most common letter sound behaviors serves to foster an "if not this, than that" hierarchy of likelihood, helping navigate learner decision-making with unfamiliar text. So before I specifically address the potential new Secrets requested, it is important to understand that just as the apple won't fall too far from the tree, the letters won't stray too far from their sounds! This handy saying can be used to help both students and teachers, alike to convey the flexible thinking needed when working through various sound options of letters in text. 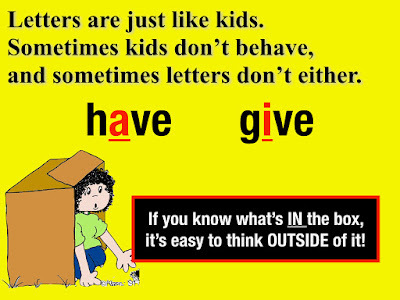 Working with text requires learners to think "outside the box," something they cannot do if they don't first know what's IN it. The Secrets ensure that learners know everything that's IN the box so that they can easily think outside of it, something that working with text, demands. Students as young as kindergarten are easily able to identify the most and next-most likely sounds of letters in words they've never seen— stretching their analytical thinking and problem solving capabilities far beyond just the Secrets! This critical analysis and diagnostic thinking game takes the form of "What else can it be? What else can we try?"..... much like the deductive reasoning process that doctors must employ when attempting to diagnose symptoms that don't always "present" in the way that they should. When learners are equipped and excited to engage with text in this way, daily reading and writing is transformed into a virtual playground for critical thinking and deep literacy learning! By anchoring abstract letter sound and phonics skills into social and emotional frameworks that are already deeply entrenched within the learner, they become personally meaningful and relevant. 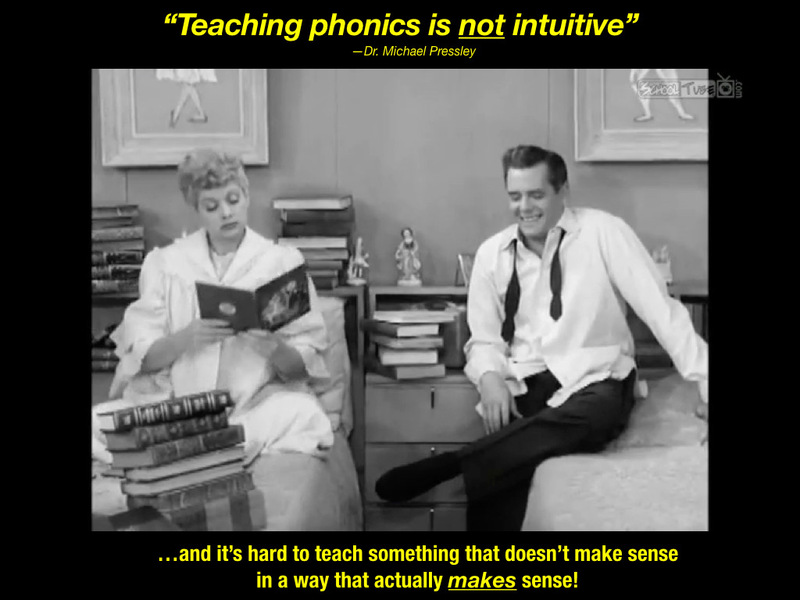 Click Here or on the video below to see just how HARD it is to make phonics make SENSE! Now, let's attack that list of potential "new" Secrets and see if we really do need to "add a few more cooks" to our phonics kitchen! If kids know the ce, ci, cy/ ge, gi, gy Secret then the addition of the letter d should pose no problem when sounding out the word. Even if they include the d sound, they would still be able to "get" (recognize) the word. Additionally, the e at the end would also cause no worry, as kids who know the Secrets know that Mommy E® can only tell the vowel to say its name if she's one letter away, close enough to reach it! Therefore, creating a new Secret for the -dge pattern is unnecessary and would only result in our having "one too many" cooks in our kitchen! That's not to say that knowledge of -dge as a spelling pattern wouldn't be useful to upper grade learners, abut the primary goal is to get kids reading. All of the research shows that reading is by far the best teacher for fine-tuning spelling, and kids who know the Secrets will be able to that experience, tenfold! If learners know the ch Secret, then initially attacking it with the t sound before the ch won't interfere with a reader's ability to ultimately decode the word, even for kindergartners. 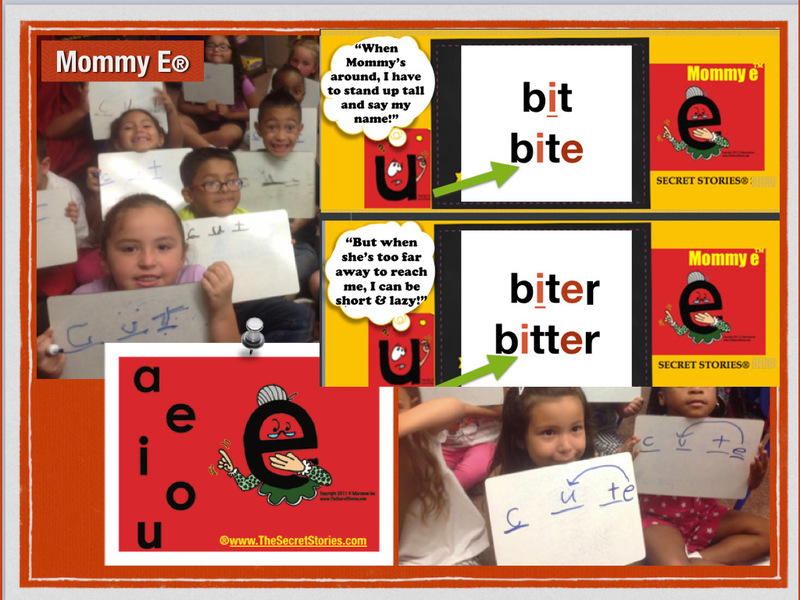 Learn More About Mommy E® and the Babysitter Vowels®! The first word, dive poses no problem at all, as Mommy E® is doing just what she should, which is in telling i (who's one letter away) to say his name! However, in the other words— give, active and live — Mommy E® is just "too tired to care," as sometimes mommies are! Which is why sometimes, she'll just sit back and let the vowels do whatever they want... because even moms aren't perfect! 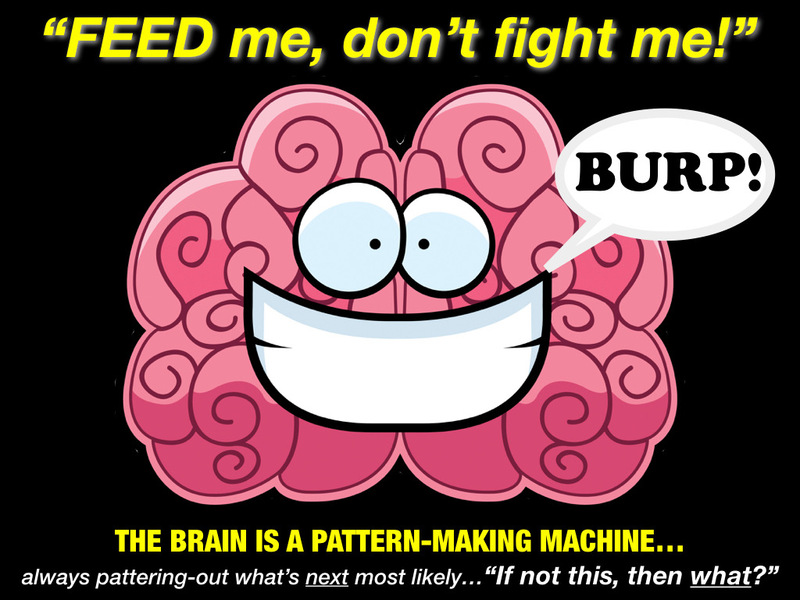 It's words like these that require kids to put on their "Dr. Hat" and think-through to the next most likely sound! 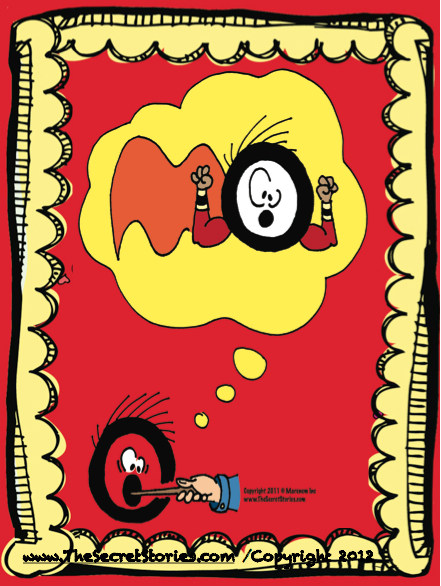 This one's easy, with the only possible glitch being that the letter o is making its long (Superhero) sound instead of the short and lazy one it's supposed to when Mommy E® or the Babysitter Vowels®´aren't around. Even still, simply encouraging learners to "think like doctors" and trying the next most likely sound for o will enable them to get the word. 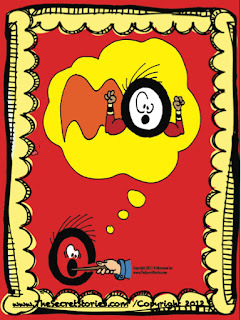 Superhero O and his "short and lazy" disguise! Same as above, as o should short and lazy, since there is no Mommy E® or Babysitter Vowel® in sight, so again, learners need to "think like doctors" and try both sounds to be sure, just like any good word doctor would do. This is like those above, with the exception of words like monkey, in which the short o can sound more like short u. 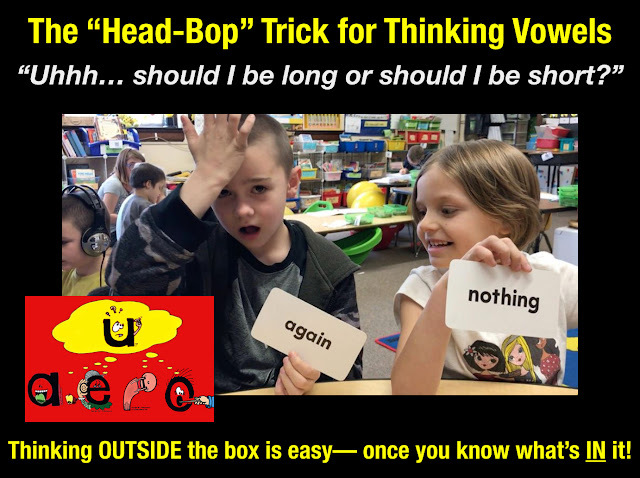 Rather than having to "hire another cook" for our kitchen, there is actually a handy trick called "Thinking Vowels—Head-Bop" that takes care of this, as well as other seemingly non-decodable sight words, like: come, of, was, love, some, does, above, etc... You can read about it here! 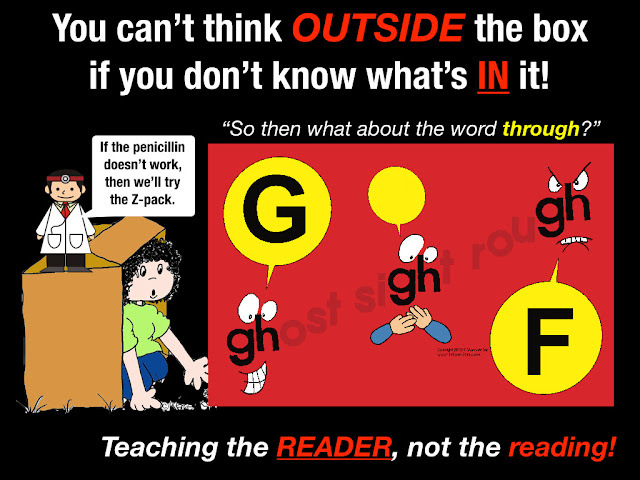 While we have a trick for the words above, every now and then, kids will need to use a little more elbow grease to "bend" the letter sounds and "get" the word. Practicing is very helpful and can actually be a lot of fun, and a great way to do it is to read the books Hungry Thing and Hungry Thing Returns by Jan Slepian and Ann Seidler"What else could it be? What else can I try?" No secrets needed, as the letters are doing exactly what they should! 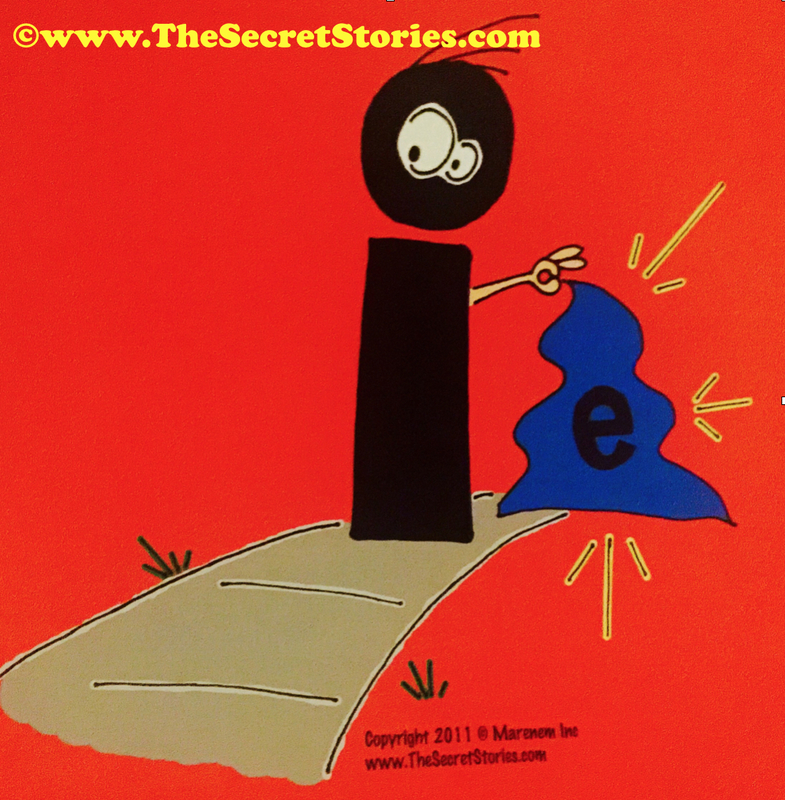 One of my favorite Secrets is I tries E on for Size, and it's all that's needed to explain why i will sometimes make e's sound instead of his own! 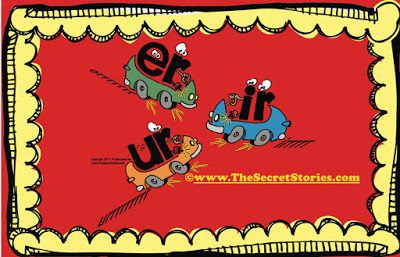 Secret Stories® "I tries E on for Size"
This one's easily taken care of with the ER, IR & UR- Secret, as the t just makes its regular sound, and like some of the other patterns above, Mommy E® is just hanging out at the end, doing nothing! 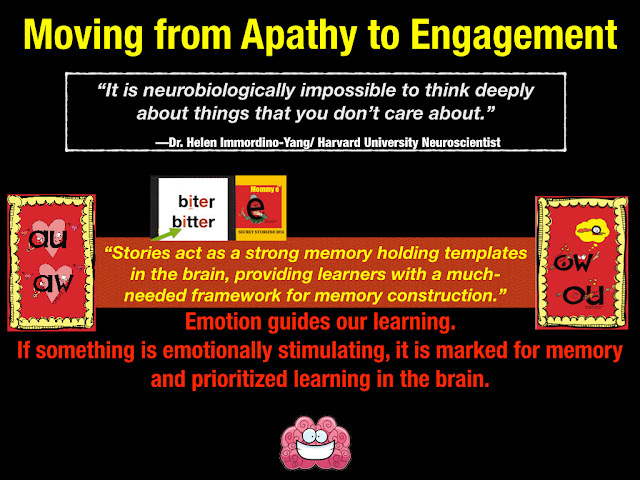 Former early grade teacher turned Harvard University Neuroscientist, Dr. Mary Helen Immordino-Yang sums up what is evident in the short video clip above, which is that, "It is neurobiologically impossible to think deeply about things you don't care about." These kids really care! Not about long and short vowels, but about mommies, babysitters, vacations, the behavior of other kids, etc... all of which are woven into the Secret that they are passionately debating in the word light. Now for the final part of Laura's question regarding what books are best to use with Secret Stories®. That one's easy— anything and everything! Books, magazines, posters, road signs, cafeteria menus, logos, etc.... literally everything with text is fair game! 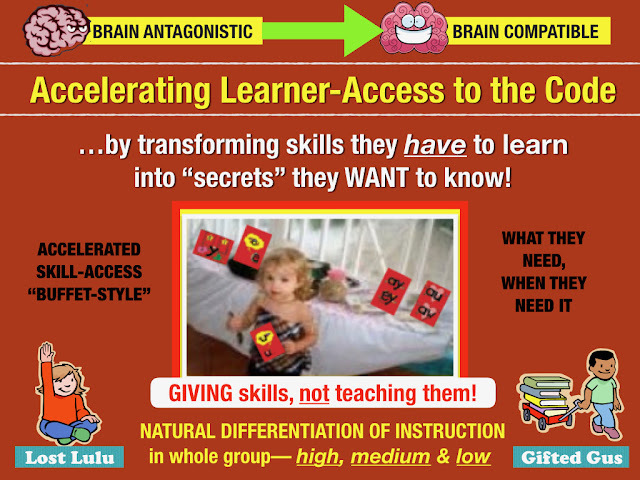 The daily course of your instruction will dictate much of what kids are reading and writing each day, as Secrets are introduced in context of daily instruction across the course of the entire instructional day— whenever and wherever they are needed! From hallway signs to cafeteria menus to math books, Secrets are everywhere, just waiting to be discovered! Thanks so much for sharing, and I can't wait to hear how things progress with your new class!!! So glad to know that you'd come across it and that it was helpful, as Mrs. Mac is awesome, and I love her guest posts. Please do keep in touch and let me know how things are going with your new group as you get going! My kids enjoy the secret stories! It makes my heart happy when they are reading or writing in their journals and bring up a "story"....or better yet, tell one to a friend that needs a little help. Kids are definitely the best teachers when it comes to sharing the Secrets!!!! I am extremely excited to use this in my first grade classroom! I know it's late in the year, but I have some struggling readers that will benefit from these stories. Absolutely, and better late than never! 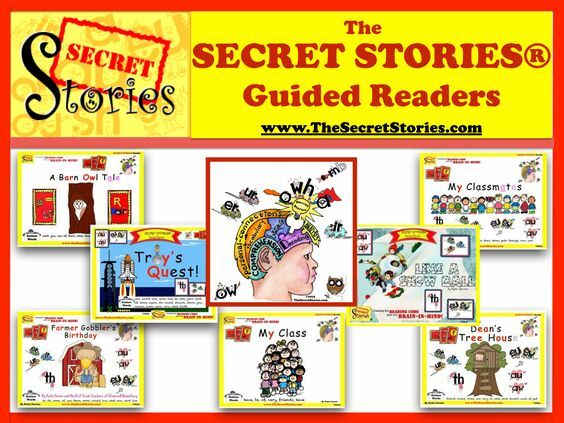 Whenever I do school in-services for teachers at the end of the school year, I always encourage them to "tell some Secrets" in the last few days, as every ONE that you share will become one more TOOL in their reading and writing arsenal that's ready for use next school year! Katie, I saw you when you were here in Calgary this year. You were the highlight of the conference. Needless to say your Secrets have opened the door for many of my struggling students. That's so wonderful to hear!!! I LOVED doing the Calgary Summit, and my head was spinning for days afterwards, as I learned so much from so many, while there! So glad you could come, and so pleased to know that your strugglers are doing so well with the Secrets! Hoping to get the opportunity to use this new version in my classroom where wall space is at a minimum and students still need this valuable resource. I LOVE the Secret Stories. I use them everyday in my Kinder classroom. They are the reason my students have shown so much growth! and btw, I would love to invite you, as well as the other posters, to let me know if you would be interested in sharing more in a guest blog post! These sound great! Yes I am following you! Thanks for the chance! I loved this post. It was full of great info. I follow using Bloglovin. Thanks for letting me know, as I sometimes miss followers that aren't following directly through the site. I'm a follower...love this post! 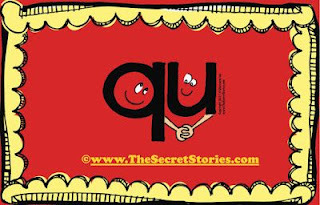 I just recently began using your Secret Stories & I have enjoyed them (along with my students) so much! They get so into the stories & really eat them up! This is my 7th year as a reading interventionist, & I can really see a difference already! Thank you! That's awesome, and thanks so much for letting me know :) And as you're now kind of a resident-expert with the Secrets, given how long you've been using them, I would love to have you guest post sometime and share your tricks and tips in using them with your students! I have been using Secret Stories for about two months now, and my students love it. They are always asking for new stories about the posters. I have first graders, but one of our 5th grade teachers has started using this in her classroom, along with one of the special ed teachers. The kids are excited. Thank you. That's my favorite thing of all to hear! All those upper grade teachers who make it a priority to 'plug those gaping holes' in skill ability before sending their kiddos off to middle school are true heroes!!! And I only wish that there were more of them! When I do school in-services (usually initiated by/for primary grade teachers) I always ask for time with the 4th & 5th grade teachers, as well, as there are some EASY ways that they can incorporate the Secrets™ so as to "plug holes" and yet, NOT interrupt their on-grade level pacing and instruction. Upper grade learners actually benefit even MORE from the "backdoor-approach," as do their teachers, who often perceive phonics as anything BUT their area of expertise. Nice information shared. One can also get the details of fashion designing courses in nagpur you can contact us. Thanks for sharing.